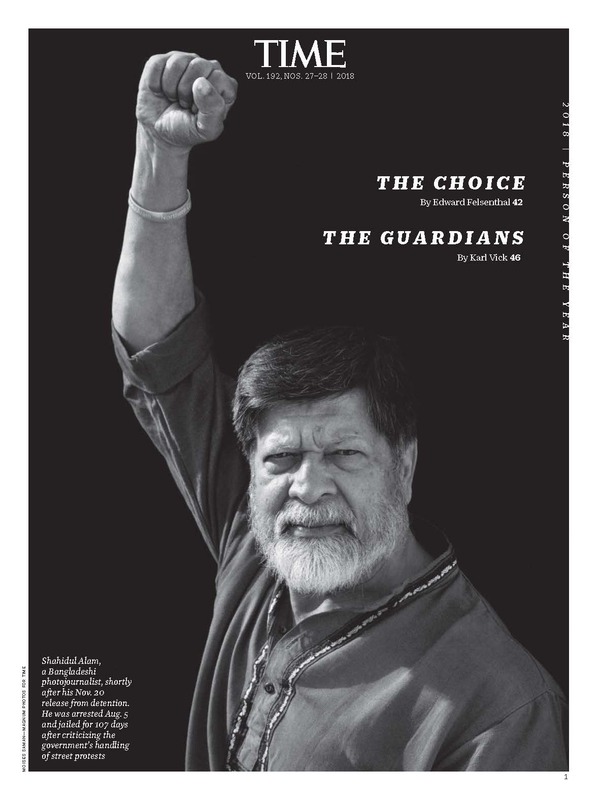 CONCLUDING PART Military-installed caretaker govt, or a 'consortium' govt? 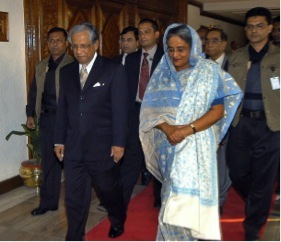 Chief Advisor of Caretaker Government of Bangladesh Fakhruddin Ahmed (L)?walks next to Bangladesh's Awami League chief Sheikh Hasina Wajed (R),?whose party won a landslide victory in the just conducted parliamentary elections. Dhaka, December 31, 2008. As I conclude my series on the consortium government, I’d like to let my readers know that what I’ve been writing (7 parts, this included) was a mere scratch of the tip of the iceberg. That, since the more I delved, the more intrigued I became, I have decided to continue my research, and will probably write about some of the themes later, in these pages, after having examined them in greater detail. Author Shahidul AlamPosted on March 6, 2012 Categories Bangladesh, Caretaker government, Consortium government, Democracy, Global Issues, politics, Rahnuma Ahmed, war on terrorTags Anwar Choudhury British High Commissioner, Bangladesh carektaker government 2007, Fakhruddin, Rahnuma Ahmed, Richard Fuisz, Rickshaw driver killed, Student protests, US special forces6 Comments on CONCLUDING PART Military-installed caretaker govt, or a 'consortium' govt?